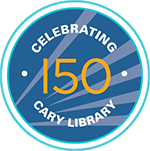 Cary Memorial Library provides a limited amount of bulletin board space in the library for individuals and groups in the community to display civic, cultural, and educational information and announce events and services that are of general and current interest. These types of materials are different from the library’s collection of print and non-print materials and are not selected by library staff. Display of events or information does not imply library endorsement. The library provides bulletin boards in the outer front lobby to be used by members of the public, including businesses, organizations, and private individuals, to post items of general interest to others. Flyers from upcoming events and business cards are examples of appropriate items. The library does not accept responsibility for this material, and reserves the right to dispose of any material left in the outer lobby at any time. Anything posted on walls, doors, or windows will be removed. Due to space limitations, preference will be given to notices about events in Lexington and surrounding communities surrounding communities (Arlington, Bedford, Belmont, Burlington, Concord, Lincoln, Waltham, Winchester and Woburn). Small notices under 8.5” x 11” are encouraged to help maximize this community resource. One copy, dated, may be posted for an event or announcement. Notices posted for longer than one month are subject to removal. The library cannot accept responsibility for the preservation or protection of materials posted. Once notices are removed, they are discarded. Materials for all bulletin boards and materials distribution areas inside the library proper are posted and removed by library staff. These bulletin boards and materials distribution areas are reserved for non-commercial notices that are civic in nature. Community calendars, information from local non-profits, and government information are examples of appropriate items. These notices, flyers, and brochures should be brought to the Circulation Desk. Due to space limitations, preference will be given to notices about events in Lexington. Small notices are encouraged and oversized posters may be rejected. One copy, dated, may be posted on a bulletin board for an event and may be removed by library staff after one month. The library cannot accept responsibility for the preservation or protection of materials posted or distributed. Once notices are removed, they are discarded. For all bulletin boards and materials distribution areas in the library, materials should be appropriate for all ages.